You know, it’s kind of a big deal for OSRS players to get a skill – any skill – to the max level which is 99. That’s a lot of time spent grinding and playing and it serves almost as a badge of honor, to show other players you’re someone who knows what’s up in OSRS. Now imagine actually having 99 level on all available skills, all 23 of them! This shows amazing devotion to the game and requires a lot of effort and skill to achieve. And Jagex wants to let you show other players you’re an honorable player of their game. That’s why they released the max cape OSRS in 2015 and made it available only for players who have attained a 99 on all 23 skills in the game. By the first of February 2019 there are only 5,557 current members that have achieved a 99 in all skills and have had the opportunity to buy the max cape! It’s sold for 2,277,00 coins and the minimum total level you need to get it is 2,277 while the minimum amount of xp that is required is 299,791,913. Sounds like quite the grind, huh? You can save yourself some time & effort and use our powerleveling services (?) instead, or buy some cheap OSRS gold to make the grind easier (and cheaper)! Where can you get the max cape OSRS? After you make sure you meet the requirements, you need to go to the Warrior’s Guild. It’s located in Burthorpe and the easiest way to access it is to teleport yourself with a combat bracelet or a games necklace and then walk a little. If you have 99 strength and bought yourself a Strength cape, it can teleport you directly outside the Warrior’s Guild an unlimited amount of times. 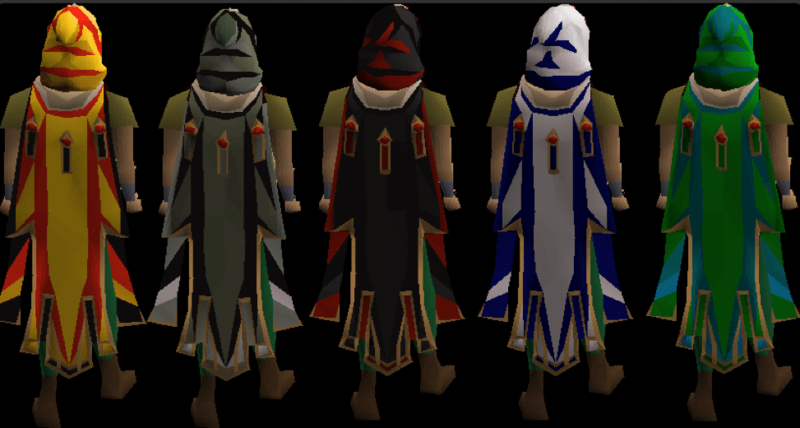 The max cape OSRS comes along with a corresponding hood and its stats are the same as those of the trimmed skillcape. It also has all the perks from other skillcapes. If you got any excess max capes, Mac will buy them for 1,821,600 coins but only if you have both the hood and the cape in your inventory. I mean, that’s not RuneScape 3, so you can’t just change the cape’s color at whim, the game engines just can’t afford it. Still, there are different versions of the max cape OSRS that you can buy. You can use the max cape on some cape items which change the stats of the max cape to those of the item you’re combining it with. To do that, you need to have both the max cape and the max hood in your inventory. This operation makes the max cape simply a cosmetic e enhancement and it takes away all of its perks. However, you can sell back the enhanced version to Mac and you’ll receive the original cape and hood; the item which you used to create the variation will however be lost. This entry was posted in How-To Tips & Tricks, Latest OSRS News, Old School RuneScape, OSRS Mobile App and tagged 99 skill, buy OSRS gold, cheap OSRS gold, max cape osrs, OSRS gold, osrs guide, osrs max cape, OSRS Mobile, osrs skill, skillcape osrs. Bookmark the permalink.